The world of Assassin’s Creed is a deep and complex one. I can’t quite remember how all the different timelines, story threads and modern ages combine with the historical animus setting, but it’s been building a universe as large in scope as some of the biggest franchises in the film, game, and comic industry. 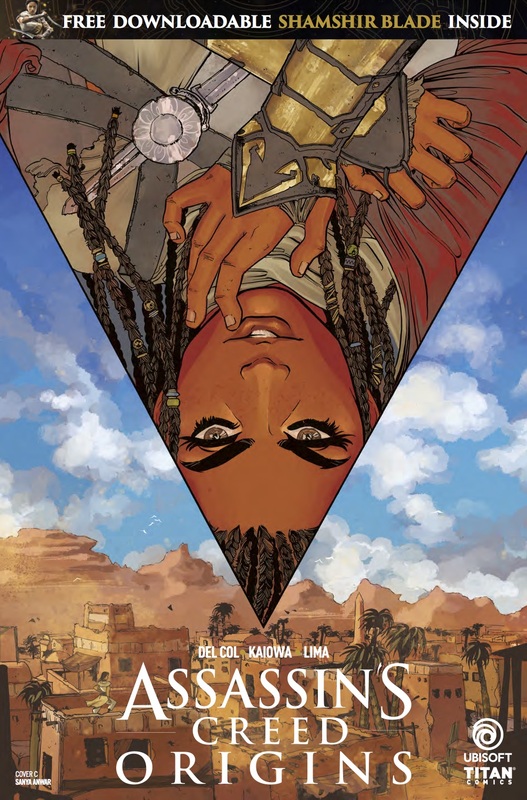 The latest comic series to come out of Titan Comics deals with the world from the latest release, Assassin’s Creed Origins. In that game, we journey through ancient Egypt and find out about the start of the Creed and the characters involved from the very beginning. 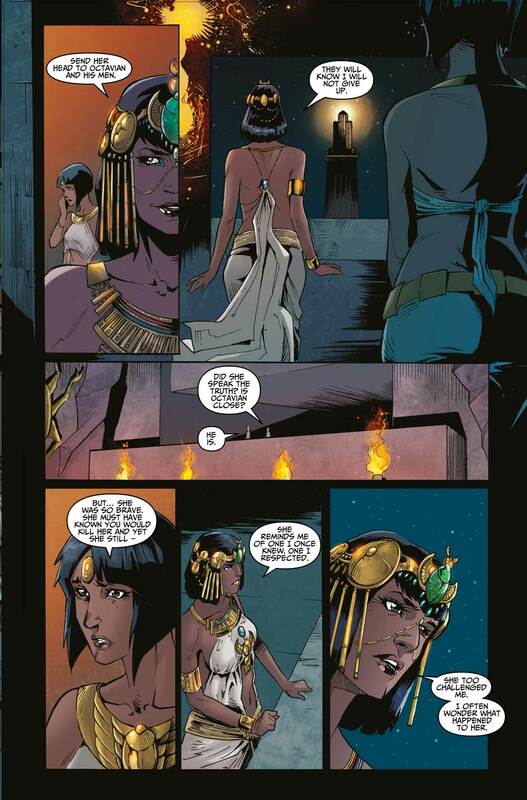 In this first issue of the comic, we follow the journey of Aya after she’s left Egypt and ventured across the sea to Rome. Throughout this issue, the story and script are exciting and don’t ever slow down in their actions and purpose. We know what’s happened in this fictional twist of a real event because of the events in the Origins game itself, but it’s a pleasure to find out the motivation behind the event. The introduction of famous characters and the ability to give them an extra dimension to their story is always something the Assassin’s Creed universe does very well, and here it is no different. The introductions of Brutus and Mark Anthony are well written and rounded throughout. The actual material regarding a ruling dictator and deciding the best thing for an Empire is discussed and utilised well through the sharp script. Politics and ethics are revealed, with the dark shadows behind the throne briefly illuminated in all their glory. colouring and shading the comic shows the region beautifully, bringing the panels to vivid reality. The framing and drawings themselves are sharp, detailed and exciting, whilst the gore and horror of the assassinations shown are vivid, horrific and shocking. I love the look of this series, and was completely drawn into the action through the framing of the artwork. This is one very exciting comic series that I am very much looking forward to seeing how it plays out. It will be interesting to see what happens in the future episodes, especially after such a major event, as we learn more about Aya’s fate. 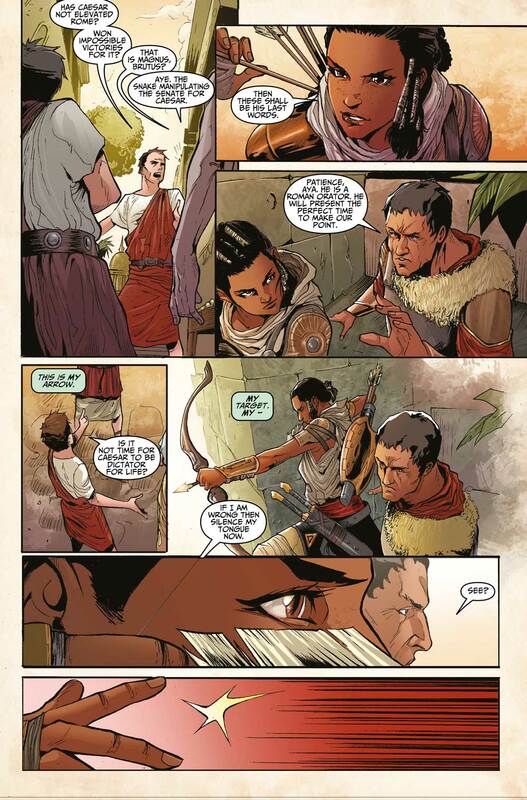 Enjoyable from start to finish, this is another great title for the Assassin’s Creed comic fan.